Do new Metro cost caps include raises for workers? As Metro’s largest union threatens a strike, an arbitration ruling is expected any day on a new contract for the approximately 9,000 workers that may trump new restrictions on the growth of Metro’s budget. ALEXANDRIA, Va. — As Metro’s largest union threatens a strike, an arbitration ruling is expected any day on a new contract for the approximately 9,000 workers that may trump new restrictions on the growth of Metro’s budget. Virginia’s version of the bill that guaranteed new dedicated funding for Metro included a 3 percent cap on operating subsidy increases for Virginia jurisdictions, but also included a number of exceptions to what would count toward that cap, such as the Silver Line to Loudoun County and the planned Potomac Yard Metro station in Alexandria. 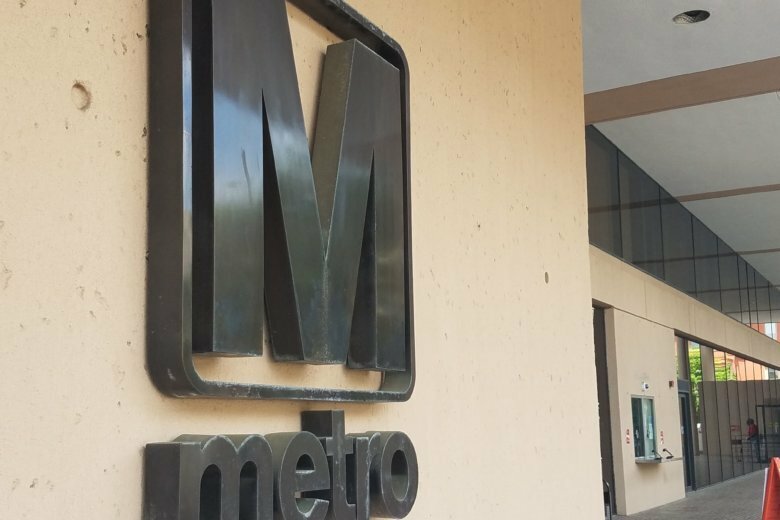 Metro and Amalgamated Transit Union Local 689 expect a ruling within weeks from an arbitration panel on a new contract to replace the one that expired two years ago. “There is no arbitration result at this moment, so I don’t think we have anything to really evaluate at this point,” Virginia Department of Rail and Public Transportation Director Jennifer Mitchell said. She could not say whether a binding arbitration ruling that could give raises to workers would be counted against the 3 percent cost cap or whether it would be considered a legal proceeding. The Commonwealth Transportation Board is tasked with withholding money from Metro if it violates the cost cap or other provisions. “This is something we’re going to work on with the CTB and work through in greater detail,” Mitchell said. A draft of the proposed implementation guidelines for the cost cap would exempt spending that addresses safety directives from oversight agencies or Americans with Disabilities Act or civil rights compliance. Virginia would also exempt any added costs tied to emergency or scheduled 24/7 shutdowns that are meant to deal with maintenance issues, and any services like certain bus routes that are paid for entirely by an individual jurisdiction. The implementation proposal also details the separately required limits on alternate Metro Board members participation in Metro Board and committee meetings. It would not allow participation in discussions, but would allow alternates to be provided with certain Metro Board documents. Commuters remain on edge about a possible strike by Metro workers after ATU Local 689 voted Sunday to authorize its leaders to call one at any time, but it is not clear that one is imminent. The union and Metro declined to provide any details about what was discussed during Tuesday’s meeting between union leaders and Metro management. The union also declined to say whether the strike authorization vote expires at any point. Typically, a strike authorization vote is used as leverage in negotiations for at least some period before a strike is held. “The union has no plans to make our timeline of events public but …. will share developments at the appropriate time,” spokesman David Stephen wrote in an email. Metro confirmed that a meeting did take place Tuesday. “Metro officials met with ATU Local 689 leadership today and had a constructive and frank discussion. Another meeting is scheduled for tomorrow,” Metro said in a statement. “There has been no change in either party’s position, and the two parties will meet again tomorrow,” the union responded in a statement of its own. From Richmond to Annapolis, many government officials are concerned a strike could be a setback for funding and governance changes at Metro that they had praised over the last six months. Some workers say changes have not necessarily trickled down into a more positive work environment. Workers concerned about the situation cite increased threats of discipline and changes over the last few years to policies on use of sick days or overall disciplinary actions. Even without a strike, there have been two instances already of a significant number of workers showing up late. The second instance led to significant disruptions last week for bus riders. “There’s an arbitration process that’s outlined that they are engaged in right now and the process should be allowed to work,” Virginia’s Mitchell said Tuesday. Maryland Gov. Larry Hogan told reporters Monday he was disappointed to hear about the strike authorization vote. “Things like this are going to set us way back, potentially cause major problems, and we’re trying to encourage people to go back and use Metro and ride Metro … and to have a union threaten an illegal strike when they’re specifically prohibited from doing so would be a terrible mistake on their part,” Hogan said. Metro workers are not permitted to strike under the existing contract or Metro’s founding documents. It is the major reason Metro has binding arbitration to handle disputes.